Raised in Bear, Delaware, Darryn Gray grew up in close knit family that didn’t need an excuse to have friends and family over for dinner. For Darryn, food was simply a necessity at first, often cooking something after school. Soon food became a fascination, as Darryn wanted to expand his knowledge to different cultures’ and regions’ cuisine. Darryn began his restaurant adventures at Camp Arrowhead in Lewes, Delaware, washing dishes. After being a server at numerous restaurants and managing Freddy Wraps in Newark, Delaware, Darryn realized his love of food and decided to go to culinary school. He graduated from The Art Institute of Philadelphia in 2011, doing his work study at Harry’s Savoy Grill. After numerous kitchen jobs, he eventually became the head chef of the Dupont Memorial House, an overnight retreat house located in downtown Rehoboth Beach. At the Dupont Hosue, he would craft his style of classic southern American food with ethnic influences. Being a patron on of The Pond since moving to Rehoboth Beach. Darryn is excited to take on the position of Executive Chef and to contribute to the already stellar reputation of the Rehoboth’s favorite locals bar & grill! All of us are excited about our Studio 54 Dance Party on April 6th at 9:30pm. Liz & Keara have been busy and will start the decorating on Thursday night. Expect to see disco balls and lots of gold. Donny cut out and Liz painted the Studio 54 Moon and Spoon. It’s going to be a blast so dress in your disco clothes (or just come as you are) and live or re-live the Disco Era! We will be giving out prizes for most creative Studio 54 costumes, individual and duo/group! Out MEET THE NEW CHEF HAPPY HOUR is happening on Wednesday, April 10th from 5pm to 7pm. We look forward to everyone meeting our chef Darryn Gray and we will be introducing our new Happy Hour Menu which will be discounted 50%. We hope you love our new Pond Bites Happy Hour Menu! Big welcome to The Rehoboth Beach Bears FURst Friday, this April 5th! And finally, we say THANK YOU for a great run on Monday nights at The Pond. Stay tuned on Facebook for upcoming plans for Monday nights! at 7pm ~ Survey Sez is back! Karaoke returns to The Pond on May 1st at 9:30pm hosted by DJ Sharon. We will have karaoke all through the summer months! And our favorite DIVAS return this Saturday to help us celebrate Cinqo de Mayo! Chef Dave has created some great food specials for Cinqo! Ready for NFL FUNday at The Pond?! Is Everyone Ready for Some Football?? We’ve planned a whole new SUNDAY FUNDAY for the NFL games! ~ Starting Early? $2 Bloody Mary & Mimosa Tailgate Specials! There are four established zones at The Pond, each with it’s own sound system, to watch and listen to specific games. If you’re fans of the Eagles, Ravens, Redskins or Steelers, you can count on their games being in a sound zone! Whether your an NFL fan or not, we have plenty of contests to keep the fun going all day! Wear a Jersey/Shirt/Hoodie representing your team (or any team) and receive one chance to enter our weekly drawing for Dinner for Two (two entrees plus soup or salad). The winner is announced at the conclusion of our Game of the Week. We’ve been collecting Bottle Caps all summer and filled a jar. Guess the amount of bottle caps in the jar to win a $100 gift card (closest without going over). Winner announced during Week 17 Sunday games. One entry per person. Actually Davey will be spinning the wheel and choosing the Game of the Week. When either team scores, and at the end of each quarter, Davey will spin the wheel and announce the selected prize and customers will have a few minutes to tell the server/bartender they wish to claim the prize. Prizes include 1/2 off certain food items, discounted shooter prices, chance to order a Combo Platter, $1 Jello shots, $5 OFF coupon for your choice of team colored football light at our store, 1st & Pond and lots more! 4. 25% OFF your tab! Game Pick-Em – pick the winner of every 1:00 game correctly and receive 25% off your total bill. Entries must be submitted to Davey BEFORE 1pm. Winner must be present to win! Enter to win TWO tickets to the Eagles – Cowboys game in Philadelphia on December 31st. Spend $25 at The Pond and receive a drawing card to enter. One entry per week. It’s nearly impossible to believe that the end of the summer season is upon us and Labor Day weekend is almost here! We had a wonderful summer and hope everyone who came to The Pond had an awesome experience! This Labor Day weekend is the last Sunday for Lyric Drive, so if you haven’t caught them yet, here’s your last chance! NFL Sundays begin September 3rd and we have a whole of fun stuff happening for football. Stay tuned! In the meantime, we welcome the Rehoboth Beach Bears’ FURst Friday on Friday (of course) at 6pm followed by Seaschell Karaoke around 8:30pm. And, our Labor Day Dance Party is Saturday, September 2nd at 9:30pm. No cover. We have yet another band debuting at The Pond this week, the Rocky Allen Band. Coming straight from Nashville, Rocky Allen Band is performing Friday, July 21. But there’s lots more music before Friday night! If you haven’t listened to Mercy Creek, stop by The Pond on Tuesday around 9:30pm. This is an awesome duo out of Annapolis. 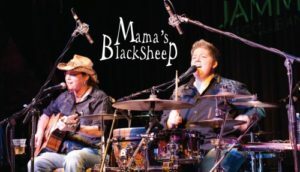 Also returning this weekend are two of our favorite people, Laura & Ashley, otherwise known as Mama’s Black Sheep, both Friday and Saturday early evenings. And Green Means Go will be rocking with their weekend show! Another great week of entertainment here at The Pond! 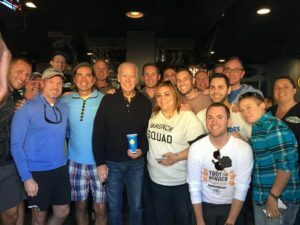 Tim Cooney returns for Happy Hour on Friday followed by Human Connection who will rock your world! Then on Saturday, Electric Velvet will be kicking it into high gear. We also welcome Jon Pheasant to The Pond on Thursday as part of our Double Header; Jodi Lynn will be joining this week’s Double Header. And Mike Heuer is back for another great night of music on Tuesday!